These three hosts have seen a g-g-g-ghost! Alexander, Chris and William reunite to discuss Lavender, starring Abbie Cornish. It's a tale of scary farm houses and fractured memories. Beware of spoilers between 30:00 and 51:00. 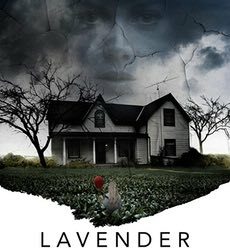 Find more information about the films we discussed on their respective IMDb pages: Lavender and The Others. Friends tell friends about the podcasts to which they subscribe. The 37th Vancouver International Film Festival closed Oct. 12 but Chris and Alexander still have thoughts to share on some festival films that will return to various screens in the future. Hear them muse on Sharkwater: Extinction (in theatres Oct. 19), Finding Big Country (at the Rio Theatre on Oct. 21), Matangi/Maya/M.I.A. (available for pre-order on iTunes) and The Hummingbird Project (due to release in 2019). Download this episode here. (45 MB) Subscribe through your preferred podcast app. Tell your friends to tell their friends.